Henri Cartier-Bresson is the father of a genre of photography called “street photography”. Looking through any of Bresson’s photos has always been inspirational for me. His candid shooting style of people on the streets give the viewer a slightly voyeuristic feel. Bresson’s images capture the decisive moment and evoke emotion and mood. His preferred equipment was a Leica rangefinder covered in black tape to remain as stealthy as possible. In the photo above is the rangefinder camera I’ve been using to practice street photography. The benefit of the rangefinder is small size, quiet operation and the ability to use some of the finest lenses available. Although the camera above is digital, it is completely manual in operation. The camera sits on a book called Magnum Degrees. 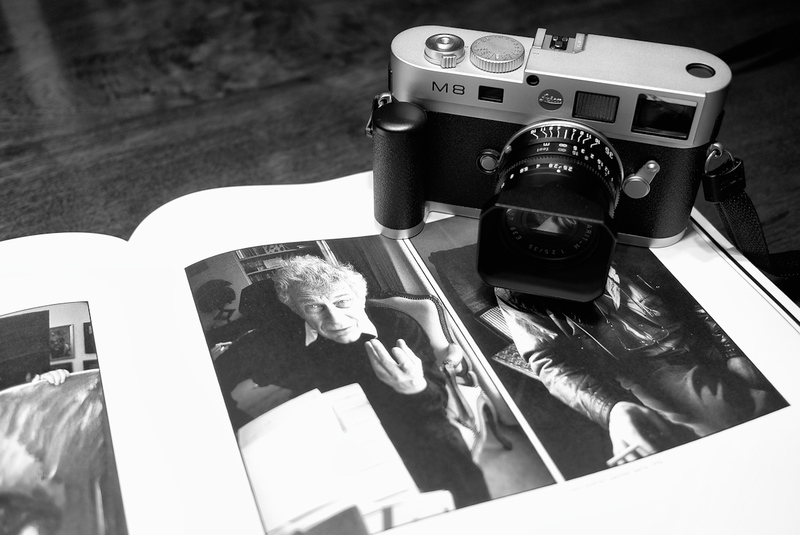 Magnum is one of the most prestigious photographic organizations for photographers. To become a member one must first be nominated and then go through several years of apprenticeship and portfolio presentations. Henri Cartier-Bresson co-founded the organization in 1947. There is more information here about Henri Cartier-Bresson and Magnum Photos here.